Before we jump into the current and future state of hotel Wi-Fi, we recommend reading our our recent post, The History of Hotel Wi-Fi, for a foundational look at how we've gotten where we are today. Upon the emergence of smartphones, Wi-Fi shifted abruptly from a cutting-edge amenity to a non-negotiable commodity. Hoteliers were (and still are) expected to replace or overhaul their network infrastructure to support an influx of wireless devices. At the same time, hoteliers were losing a revenue stream from the in-room telephones, leaving many in the industry looking for ways to recoup their costs. Charging for all access to Wi-Fi did not last long. Around 2012 is when we saw the emergence of the tiered or ”Freemium” model. Hotels began to offer a free basic level of Wi-Fi and charge for higher performance. Today, guests are even more likely to understand the value of Wi-Fi performance. Some guests only want to check email or surf the web, while others want to share large files, conduct video conferences or play interactive games, and most understand the difference. Many guest networks are managed at the individual property level with local IT managers selecting hardware, software, and service providers to manage the guest experience. Each with its own network hardware configuration being implemented and supported by what could be hundreds of network integrators or managed service providers around the globe. For guests, this means having a different experience each time they check-in. Wi-Fi network names (SSIDs) are not uniform, captive portals and log-in processes vary, and Wi-Fi performance may vary widely from place to place. This poor guest experience creates a significant challenge for brands. Historically, the industry has talked about security as an intangible idea that we need to address, but no one was sure how. Recently, we have seen the technology finally starting to catch up. From GDPR to the California Privacy Act to Mark Zuckerberg's 4-hour testimony in front of senate, online privacy and Wi-Fi security has become more important—and more visible— than ever. The good news is it has forced the entire world to think more strategically about security and privacy for the long-term. What is Passpoint (a.k.a. Hotspot 2.0)? Over the next decade, 5G is expected to almost triple the annual gain in wireless capacity compared to the past 20 years. But while it’s an important improvement in connectivity, we don’t expect it to replace Wi-Fi now or in the foreseeable future. Instead, Wi-Fi and 5G will coexist in our increasingly connected world and travelers will use them interchangeably, likely without noticing (or caring about) a difference as long as they're connected always and everywhere. As more technology moves to the cloud and becomes smarter, we will start to see more proactive diagnosis and self-healing of networks, especially in the enterprise. As the Internet of Things (IoT) grows, more and more devices are coming online and the risk of technology failure increases. That’s why the need for smarter networks and technology is higher than ever. With the rise of machine learning (ML) and artificial intelligence (AI), self-healing and proactive diagnostic tools are completely possible. Wi-Fi is a crucial touch point between hoteliers and guests. A central authentication platform allows hoteliers to recognize not just the device that connects to the Wi-Fi, but the person using it. Leveraging Wi-Fi data for even richer guest profiles allows you to deliver a better, more personalized Wi-Fi experience that truly delights guests and drives brand loyalty. 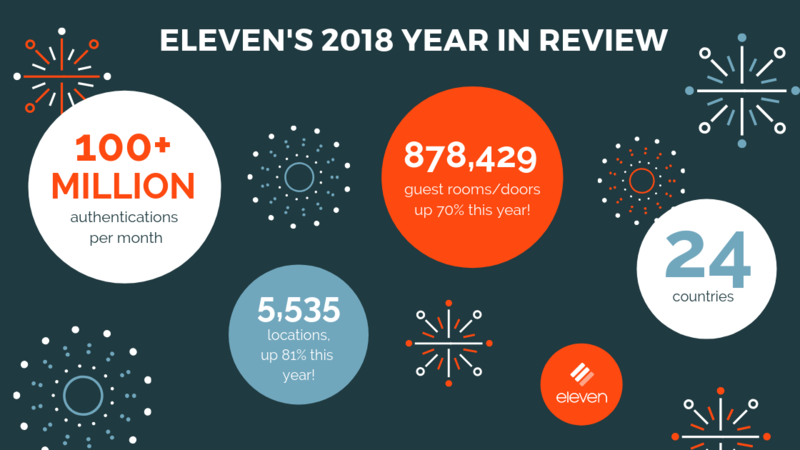 As hotel brand mobile app adoption increases, connection to Wi-Fi becomes the enabler of a great guest experience for your most loyal guests. Wi-Fi becomes a way to empower guests to connect to what they need, when they need, wherever they are. Download the full eBook, The Evolution of Hotel Wi-Fi, where we take a deeper look at how Wi-Fi has evolved and will continue to adapt to the way people want to connect.